As one of the first animated films to hit theatres in 2015, the bar has been set high for “Home”, directed by Tim Johnson and produced by DreamWorks Animation. This quirky film boasts a killer cast and will delight viewers of all ages, despite a few minor hiccups. The film opens with a benign alien species known as the Boov, preparing to take over Earth. The Boov are a far cry from the sinister aliens usually depicted in films, providing a refreshing break from the clichéd depiction of aliens. Instead they are dopey and comically inept, which is a nice change. Upon arriving on Earth, humans are immediately sent to designated communities and the Boov take over. One particular Boov, named Oh (Jim Parsons) is focused on. This lovable character does not quite fit in with his counterparts and is somewhat of an outcast among his own kind. nd offers an interesting take on human characteristics. As soon as Oh is allocated a new home, he attempts to orchestrate house-warming party, much to the dismay of his new neighbors. Unsurprisingly, none of Oh’s neighbors show up to the celebration. After several hours of waiting for his guests, an ever enthusiastic Oh seeks out a Boov named Kyle (Matt L. Jones), whom he routinely pesters, in the hopes that Kyle will join him for the party. This is where things begin to go horribly wrong for Oh. In his excitement, he accidently sends a party invitation with detailed directions to everyone in the universe, including the Boov’s worst enemies, who were responsible for the demise of the Boov’s last host planet. Oh is quickly denounced as a dangerous criminal and he hastily flees. At this point, Oh runs into someone else desperately trying to evade the Boov. Gratuity “Tip” Tucci (Rihanna), is a clever young girl from Barbados, with just the right amount of attitude. Tip has been separated from her beloved mother due to the Boov’s relocation of human . Oh and Tip become a pair of unlikely allies and set out to find Tip’s mother (Jennifer Lopez). While overall this film is a pleasant watch, there are a few weak spots. This includes a lack of context. For example, why was Tip’s mother abducted relocated prior to the Boov invasion? Also, why does the human population not resist the Boov? They do not seem to possess the wit or technology to remain in control. 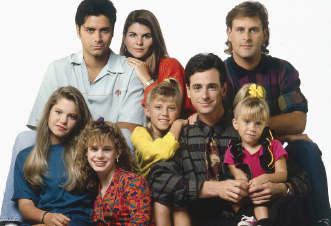 However, older viewers must keep in mind that this film is aimed at children primarily. Often when in the movie theater, it is best to suspend reality for a little bit and simply sit back, relax and enjoy the film. For anyone seeking a charming and witty film, with a sweet message “Home” will adequately suffice. “Home” does not provide any groundbreaking ideas or new profound messages, but audiences will walk out of the theater with a smile on their face, and for that reason it is worth a watch. 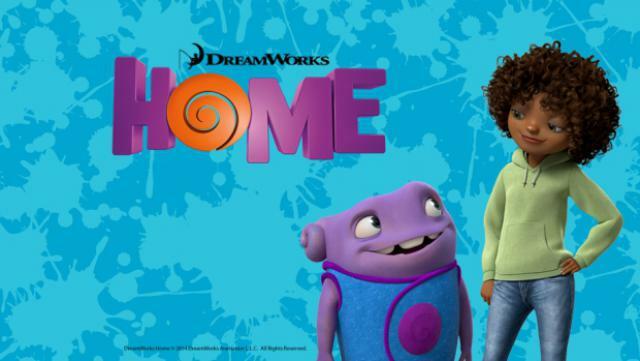 “Home” hits theaters on Mar. 27 nationwide.